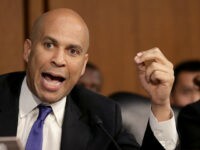 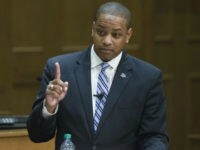 Breitbart News asked ten Democrats on the Senate Judiciary Committee if they believe Dr. Vanessa Tyson’s claim that Justin Fairfax assaulted her. 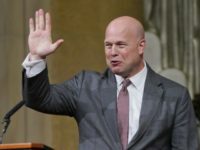 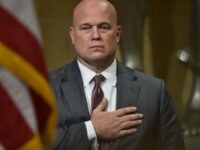 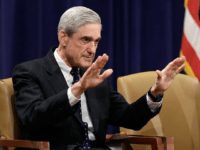 Over 400 former DOJ employees have come out in protest of Trump’s appointment of Whitaker as acting Attorney General. 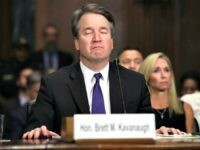 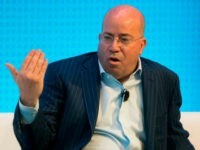 CNN pushed a sexual misconduct allegation against Brett Kavanaugh Wednesday night, hours after the accuser had already recanted. 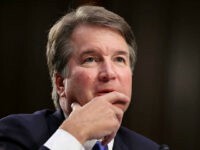 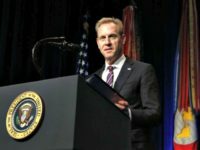 The Senate Judiciary Committee on Wednesday released a lightly redacted copy of the transcript of Monday’s conference call between Supreme Court nominee Judge Brett Kavanaugh and committee staff. 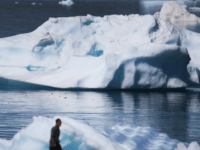 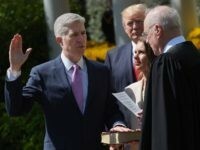 Democrats are depressed after the first Supreme Court decisions featuring newly-installed Justice Neil Gorsuch were released this week confirmed that he is every bit as conservative as Republicans had hoped at his nomination. 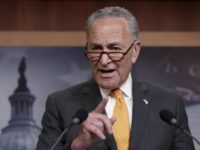 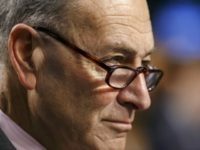 Senate Minority Leader Chuck Schumer, who is leading a filibuster against Judge Neil Gorsuch, called a press conference Wednesday to further his and his fellow Democrat senators’ commitment to blocking President Donald Trump’s SOTUS nominee. 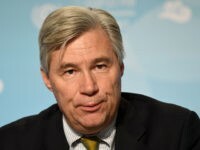 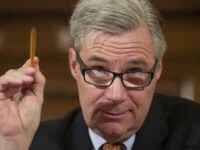 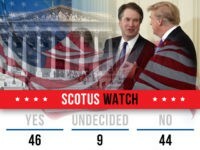 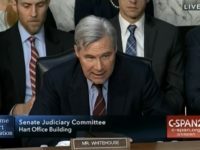 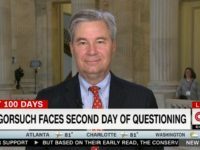 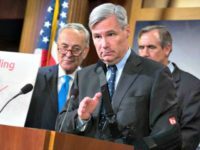 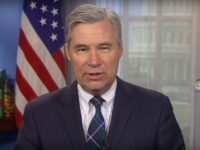 Sen. Sheldon Whitehouse (D-RI) accidentally called President Donald Trump’s Supreme Court nominee, whom he and Senate Democrats have taken strenuous efforts to block from the bench, “Justice Gorsuch” during a press conference that he, Sen. Richard Blumenthal (D-CT), and Senate Minority Leader Chuck Schumer (D-NY) held on Wednesday.